Idlewild's Youth Ministry is divided into two groups: QUEST for middle school students and BASIC for senior high students. Group meets several times each week for fellowship, study and mission projects; in addition, several retreats and trips are scheduled each year. QUEST (Questioning, Understanding, Exploring, Sharing Together) is for junior high members of Idlewild Presbyterian Church, as well as friends and visitors. QUEST meets four times a week: Sunday morning, Sunday night, Wednesday night, and Thursday night at More Than a Meal. BASIC (Brothers And Sisters In Christ) is for senior high members, friends, and visitors of Idlewild Presbyterian Church. During the school year BASIC youth meet together four times a week: Sunday morning, Sunday night, Thursday night, and Wednesday for Bible study in small groups. Sunday morning church school class [Location TBA]. On Thursday nights the youth assist with More Than A Meal, a community gathering for anyone in need of a free meal. BASIC members help serve the meal, then have the opportunity to sit and get to know our guests. There are four annual BASIC trips: A Presbytery-wide Senior High Retreat in the spring, the Montreat Youth Conference, a summer mission trip, and fall NaCoMe All-Church Camp. During the Presbytery-wide Retreat, Idlewild youth gather with senior high school students from across the Presbytery to talk and learn about topics facing them today. 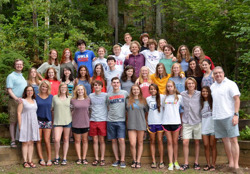 Every four years BASIC members travel together to Montreat, North Carolina for a week at the Montreat Youth Conference. Senior high students from across the country gather to hear speakers from around the world. On other years, BASIC members travel overseas or within the United States as a mission team working on various service projects. NaCoMe All-Church Camp is a favorite fall highlight. Church members travel to NaCoMe Conference Center for a weekend of dancing, recreation, worship, fellowship nd good food. BASIC youth enjoy the weekend together in the luxurious BASIC cabin. The summer mission trips are often life-changing experiences. Groups have been to El Salvador, Guatemala and New Mexico. Mission work, as when a group helped build a school in Guatemala, is combined with learning and fun. 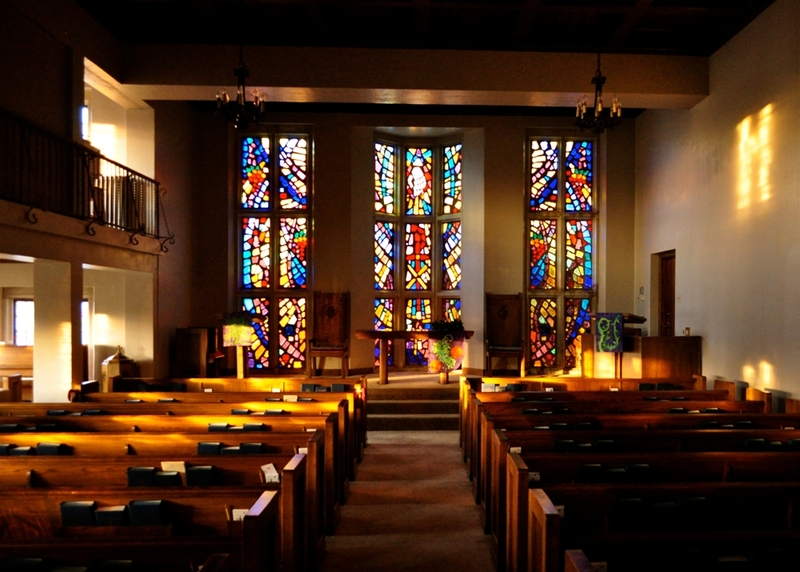 Church school classes for youth follow the lectionary-based curriculum of the Presbyterian Church (USA). In addition to Sunday morning, the two youth groups have regular evening gatherings, Bible studies, and many other activities. For more information contact Frank Kelly, Director of Youth Ministry at 726-4681 ext. 213, cell 337-0159, or fkelly@idlewildchurch.org. Sunday church school classes for youth follow the lectionary-based curriculum of the Presbyterian Church (USA). The youth groups also have regular evening gatherings, Bible studies, and many other activities. For more information contact Frank Kelly, Director of Youth Ministry, at 726 – 4681 ext.213, or fkelly@idlewildchurch.org. Youth groups get together to share dinner, games, worship, discussion and fellowship. Senior High Breakfast is 6:30–7:30 at Panera Bread, 4530 Poplar Ave. (Youth need to provide their own transportation). Does not meet during the summer or holidays.